We do more and more on our mobile phones these days, and that means we have more and more data and files we want to save. The challenge is finding a way to store it as these devices we carry in our pockets can only hold so much. This is where cloud storage comes in handy. And while many times cloud storage is very costly with monthly fees, you can get a five-year subscription to G Cloud for unlimited backup. You’ll be paying just one low fee one time to back up all the files and data you desire for five years. With all of your data and files stored in one central place, you only have to tap once with G Cloud to restore everything to your mobile phone should it become lost or stolen. Whether you’re using Apple or Android, there’s an app to allow you to store and protect everything on the Amazon AWS Cloud. Even better yet, with just one account you’ll be able to back up all of your devices. 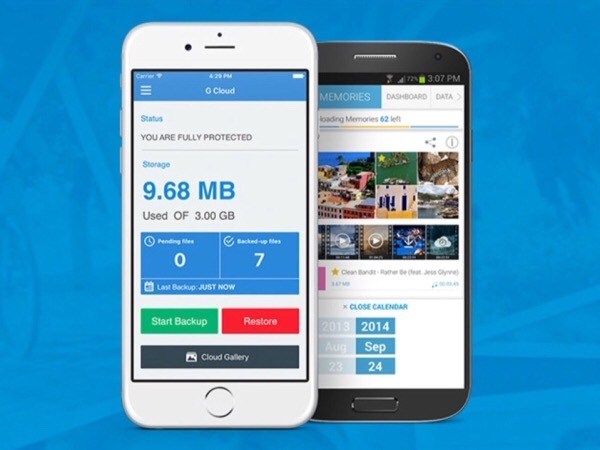 Get your five-year subscription to G Cloud for 93% off at just $29.99.